Living with a toddler sometimes feels like living with a tantrum landmine. They can have tantrums over almost anything. My daughter can wail if her pants are too short after being rolled up (by herself). She can love eating meatball one day but hate it the next, and scream “MINE!” desperately one second after handing Dad a toy. Temper tantrum is an intense storm of emotions, which are usually anger, loss, disappointment and deep frustration, in a young child. 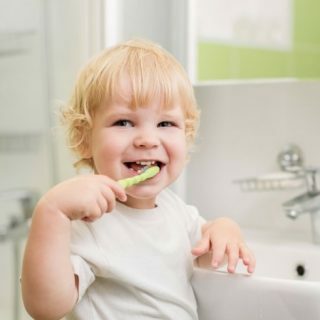 In toddlers, this emotional outbreak can lead to crying, screaming, falling down, kicking, biting, hitting, throwing things, banging the head or holding breath. There are two types of tantrums — emotional tantrums and a Little Nero tantrums. Temper tantrums are not always about trying to control or manipulate parents. For young toddlers (2-3 yo), they are not capable of reasoning or manipulating. They tend to have mostly emotional tantrums when they’re upset. For older ones (>3.5 yo), it could be a mixed bag. Older toddlers are still not experts in the emotional regulating department. So they can have emotional tantrums, too. Depending on past behavior and parents’ reactions, some children learn to use tantrums as a means to get what they want. That’s when you have Little Nero tantrums. However, even when children throw a Little Nero tantrums, things can get out of hand and they turn into emotional tantrums. In this article, ways to deal with emotional tantrums will be discussed first. Why Do 2 Year Olds Have Temper Tantrums? 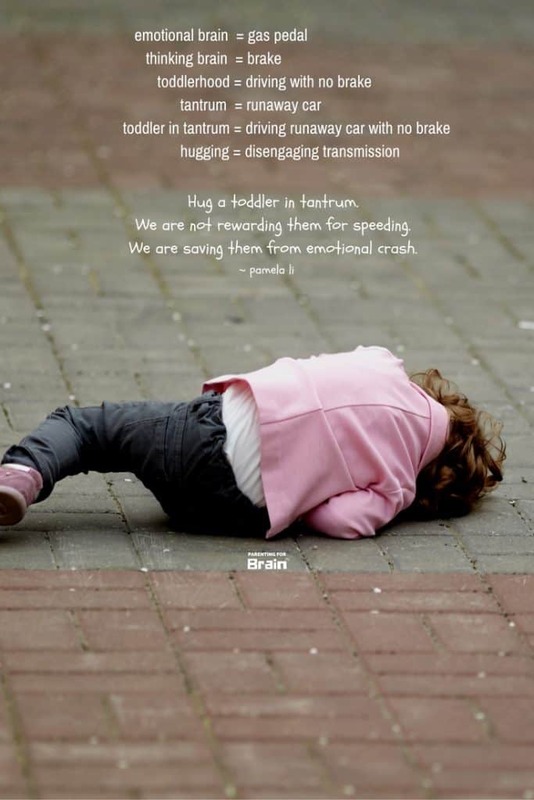 Toddler tantrums are actually natural behaviors. They usually result from unmet needs or desires. Tantrums are more likely to appear in young children because that’s when they start to learn that they’re separate from their parents and want to seek independence. But a tantrum throwing toddler is not a spoiled brat. Their lives may seem cushy. Sure, I’d like to have 13 hours of sleeps every night, plenty of playing and no working during the day, all my meals prepared for and a bath given while I play with a rubber duck. Thank you very much. (ok, maybe not the bathing). But toddlers are actually going through hellish turmoil inside. Babies come to this world with no knowledge of anything. Two-year-olds have just learned how to walk. They want to explore the world, go everywhere and touch everything. They have just discovered how to use tools, but they don’t have the motor skills fine-tuned enough to always get the results they want. They look to their parents for safety (exploring something they’ve never seen before is scary), comfort (I’m so sad I couldn’t lift that stool), help (a little help getting that pair of scissors please?) and sharing joy (look, standing on the high chair, no hands!). But instead, all they get is parents barking “no”, “stop” and “bad” at them for no reason. WTH? To make things worse, when toddlers are disappointed or upset, they would feel strong emotions that they have yet learned to control. While their stress response systems such as crying are mature at birth for survival reasons, their emotional regulating systems are not yet developed. The lack of vocabularies to express themselves also adds to their anger and frustration. Temper tantrums then become their outlets and their words. When children are having emotional tantrums, they are telling us that they’re in deep emotional pain and they cannot cope on their own. In other words, they need our help. When a toddler is overcome by stress such as rage, a little alarm (amygdala) inside his emotional brain (aka limbic or lower brain) is triggered. This alarm is mature at birth because an infant needs to be able to sense distress and signal to his parents, usually by crying, to survive. On the other hand, a child’s local brain (aka prefrontal cortex or higher brain) is not sufficiently developed to manage that alarm system. When this happens, stress hormones are released to course through the toddler’s body and emotions become intense. This hormonal storm causes anguish and emotional pain which amounts to physical pain. The stress hormones also hinder the toddler’s ability to access the rational thinking inside his logical brain. Essentially, the toddler is having a “brain freeze”. Similar things can happen in grownups if they haven’t learned how to handle their own emotions at young age. You hear people say, “I was angry. I don’t know what I was thinking.” Well, in those moments, they were not. To control strong emotions, a child needs to develop connections (integrate) between the logical brain and the emotional brain. Only then can the logical brain rationally calm the emotional brain. At birth, babies have billions of brain cells (neurons) but not many brain cell connections (synapses). The network of connections is formed through life experiences. Temper tantrums are some of the most crucial life experiences in sculpting the brain. Being able to regulate emotions during tantrums allows proper brain cell connections to form. These neural pathways are essential for the child to manage stress and be assertive later in life. If a child is not given the opportunity to learn these regulating skills, for example if tantrums are met with anger or punishment, the child may grow up not being able to handle stress well or be assertive. The child may also struggle with internalizing problems (e.g. depression, anxiety disorder) or have externalizing issues (e.g. aggression, drug/alcohol abuse). Emotion dysregulation can also affect future social competence as well as academic performance. But if handled with care, tantrums can become an invaluable life lesson in emotion regulation which has been shown to link to resiliency, social competence, academic success and even popularity. So remember that not only are temper tantrums normal and reasonable, but they are actually desirable in helping toddlers’ emotional development. When a tantrum starts forming, sometimes parents can promptly alleviate it by addressing the issue at hand. For example, if a child doesn’t want dinner, instead of forcing her to eat which will bring on more emotions, parent can ask her to choose to eat the meat or the vegetable first. When questions with simple choices are presented, the child’s thinking brain is activated. By access the child’s higher brain, parents help it stay in control before the emotional part takes over. Distraction is another way to excite the logical brain. Distractions such as letting the toddler have another toy (but not the original one she wanted) or singing a silly song can divert the child’s attention and raise her curiosity. Curiosity piques the interest of the logical brain and triggers the release of a feel-good chemical (dopamine) in the brain. This hormone can reduce stress and increase her interest in the newly presented object or event. Using simple questions, distractions or other ways to engage your child’s critical thinking before emotions escalate to the point of losing control can stamp out tantrum before it starts. When a toddler is flooded with emotions in a full swing tantrum, the emotional brain has taken control. Her thinking and verbal functions cannot be accessed. Therefore, trying to reason with her or asking her about her feelings is a waste of time. You may end up upsetting her and arousing her emotions even more. Parents can help restore the hormonal balance inside a child’s body by holding or hugging him. Holding or hugging can activate the calming system in his body and triggers another feel-good chemical (oxytocin) that can regulate his emotions. Make sure you are calm yourself before doing this. Otherwise, if your own system is not calm, you may make him more stressed. Sometimes, positive words or acknowledgements alone such as “I know”, “you must feel very upset” or “I’m so sorry that you’re hurt” are good enough to let a child feel safe and understood. Parents’ sympathy and attuning to his feelings not only can soothe the child’s emotion, but they can also help built those important pathways between his local and emotional brains. It is important to help a child learn to regulate his emotion. Any parent can tell you that toddlers mimic what grownups do. That includes their control over emotions. If you get angry and start yelling at the toddler when she throws a tantrum, you are modeling how she should react when things don’t go her way. Instead, by staying calm, you are teaching her how to face difficulties and upsetting situations without losing control of emotions. Another reason for staying calm and positive is that emotions, especially negative ones, are contagious. Being angry or negative will only increase your child’s stress. Let’s say you are suffering from intense pain. It is so much so that you drop to the ground and writhe. Do you want your loved ones to punish you, walk away from you or lock you in a room by yourself? Sometimes a tantrum may start as means to get something the toddler wants. But if left undealt with, it can escalate into a strong hormonal storm which a young child is not equipped to cope with by himself. When that happens, it becomes a genuine case of uncontrollable anguish and pain. Punishment, time-out or isolation will teach your child that he cannot trust you to help him or understand his grief when he’s in pain and needs you. If a child learns early on that expressing big feelings will result in parental anger or punishment, he may resort to being compliant or being defiant. Either way, it means the child will not have the opportunity to form proper brain connections to deal with strong emotions. When facing frustrations later in life, he may struggle to be assertive or have angry outbursts. Sometimes if a toddler in distress is met with negative or lack of responses from his parents, he may stop crying. But that doesn’t mean he is not in distress any more. Studies have shown that distressed young children can still have high stress hormonal level inside his body. In some cases, this dissociation between behavioral and physiological responses can lead to emotional or mental health problems later in life. Time-out should be used as a last resort. It should only be used when the child has hurt someone intentionally such as biting or hitting and when he is not flooded with emotions. And it should be non-punitively and done in a kind and firm way. When the dust has settled, when your child has thoroughly de-escalated from the intense emotional state, you can review what happened with her. Teach her what she can say next time she wants something. Teach her how to use words, instead of throwing things, to express her feelings. Narrating what happened can also help her create those important neural connections to manage emotional situations in future. You can even tell her how you feel when she throws a tantrum. It says to her that it is alright to have feelings and feelings can be controlled. You are also teaching her how her action can affect others and what empathy is. Children are more prone to throw fits when they are hungry or tired. When these physical factors are present, all it takes is a trigger to set things in motion. So, set a schedule of sleep-eat-rest to avoid these tantrum traps. Being bored, stressed, angry, frustrated or disappointed are effective triggers. Prevent this from happening. If you know your child will be upset when not getting something, provide alternatives or distractions in advance. It’s much easier to access their logical thinking to prevent a tantrum than to put out one once it happens. True, there are times when a toddler is behaving like a Little Nero. He wants something and he won’t stop screaming and kicking until he gets it. When a child is in this power struggle mode, he is not flooded with hormones and intense emotions. You can tell by the lack of painful expressions. With this type of tantrums, most parents know they cannot give in or they would be teaching their children to use tantrum to get whatever they want. Some people advocate ignoring the child. But think about it. How would you feel if you want something but your loved one ignores you? You feel more upset! For a toddler, that’s like adding fuel to fire. If she’s old enough to reason, she may understand that it’s not working and stop the tantrum. But if she’s too young or too upset to do so, it can push her right into an emotional storm. Instead, acknowledging his desires and mirroring his emotion may be all it takes for him to calm down and be receptive to the enforced boundaries. You can call me a nerd. After all the researches I’ve done, I’ve come to the conclusion that throwing tantrum is actually a good thing because every tantrum is an opportunity for learning emotional regulation and for brain sculpting. I still remember that one time, when she was having an epic tantrum, I hugged her tight and sat through it with her. When she finally stopped crying, she looked at me in disbelief as if she was thinking “I can’t believe mommy stayed with me during all this!” And then I could feel the look of trust in her eyes. It still puts a smile on my face whenever I think of that. How Common Are Toddler Tantrums? Toddler tantrums are very common. They are the most common childhood behavioral problems reported by parents. A study conducted by University of Wisconsin on 1219 families showed that 87% of children at 18-24 months had displayed tantrums. At 30-36 months, 91% did. The prevalence then decreased to 59% at 42-48 months. So, you’re not alone. Your child is not bad. Why Does My Child Seem More Difficult Than Others? It is possible that your child has some inborn temperament traits that fall into the difficult category. But that’s not the child’s fault that they’re born with such temperament. Parents should know that what works well for easy children may not work for the difficult ones. For example, simple choices and distractions may not be enough to activate those children’s logical brains. Parents may need to do more work to restore their children’s emotional balance and spend more time teaching them how to express their feelings with words. With patience and persistence, even difficult children can learn to integrate their logical and emotional brains and stop using tantrums as outlets. When Will This Tantrum Phase Pass? Tantrums usually begin in children at 12-18 months and stop at around the age of 4. Derryberry, D., & Tucker, D. M. (1992). Neural mechanisms of emotion. Journal of consulting and clinical psychology, 60(3), 329. Modulating emotional responses: effects of a neocortical network on the limbic system. By Hariri, Ahmad R.; Bookheimer, Susan Y.; Mazziotta, John C.
Social and emotional self-regulation. By Tucker DM, Luu P, Pribram KH. The Role of the Family Context in the Development of Emotion Regulation. By Amanda Sheffield Morris, et al. Stress contagion: physiological covariation between mothers and infants. By Waters SF, West TV, Mendes WB. Quality of Early Care and Childhood Trauma: A Prospective Study of Developmental Pathways to Dissociation. By Lissa Dutra, Ph.D., Jean-Francois Bureau, Ph.D., Bjarne Holmes, Ph.D., Amy Lyubchik, Ph.D., and Karlen Lyons-Ruth, Ph.D. The Happiest Toddler on the Block. By Harvey Karp,M.D. Temper Tantrums in Young Children: 1. Behavioral Composition. By Michael Potegal, Ph.D., L.P., Richard J. Davidson, Ph.D.